A passport is a good investment if you plan to go anywhere outside of the US by land, sea, or air. It doesn't matter if you are doing a closed-loop cruise and a passport is not needed. You never know when something will happen and you'll need to fly home. It's even a good idea to get a passport if you aren't traveling abroad but you have a family member who is. You never know if you may have to get on a plane to go to them. 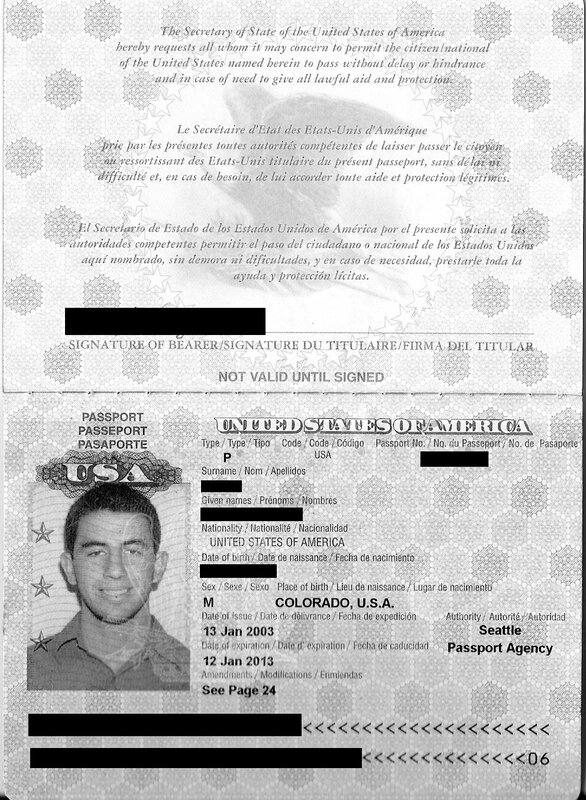 A passport currently costs $135 per adult. It lasts you for 10 years. That means it costs less than $15 a year to own. But the peace of mind knowing you have one whenever you need it is-- yes, I'm going to say it-- priceless. Give one copy your travel professional and one to a close friend or relative. That way there are copies at home. Then make a third copy and carry it with you when traveling. Keep that copy in your purse or wallet and on you at all times. Keep the original passport booklet in your room or cruise cabin safe (or a safe place in the room or cruise cabin if there is no safe). If you are off the ship in an emergency, you'll have the copy with you. This is much safer than traveling with the passport booklet on you, in case it ends up lost or stolen. If for any reason you get separated from the ship or the hotel, you'll still have the photo copy on you and your family/friend and travel professional back home will have copies too and that will help make your US re-entry process go smoother. By now you've all seen what happened with Carnival Cruise Line. But I have to say, not all situations end this "well" with a full refund, all expenses paid, an extra $500, plus a future cruise credit. Sometimes you don't even get half of that. With trip insurance protection, you'll be covered. Be careful which insurance companies you buy from though. Most resorts and cruise lines offer basic coverage and cheaper plans and you may be able to find better coverage elsewhere. Make sure you talk to your travel professional and see which plans they recommend and then compare them. Buying the insurance is just as important as buying the vacation itself, so make sure to do your research before you buy. Also, buying insurance opens up your travel options. Many people may want to steer clear of traveling to the Caribbean during peak hurricane season. But with good travel protection, you can get the lower rates that are offered during the fall "down season" and also know you are covered in the event a storm hits before or during your travel dates. Many of the things that trip insurance will cover are reimbursed to you when you return home. In some cases you may need to pay out of pocket for something to be submitted to and reimbursed by your trip insurance when you return home. It's a good rule of thumb to have at the very least, $250 per person saved in an account that you can access when traveling. We had a client who was stuck in Turks and Caicos due to a winter storm in the Northeast. We were told by the airline, upon them canceling his schedule flight home, that the next available flight for his family of six would leave them stuck in Turks & Caicos for 5 days. That meant our client had to pay out of pocket for a four night stay. Luckily he had purchased trip insurance and now, when he returns home, he will be reimbursed for up to $750 spent each day on food and lodging. Had he not purchased the insurance he would have lost that additional out-of-pocket money. Without him having additional money on reserve to pay for those accommodations, he and his family may have been stuck in a less than desirable hotel in a even less desirable area of a foreign country. I always encourage my clients to check and recheck their documents. It's very easy for a name to be misspelled while typing fast, or a number to be out of place on a birth date. An error can easily be fixed most of the time. However there are certain times, especially in the travel industry, where an error is quite a hassle to have fixed. For example, just a simple misspelling or an error with numbers in a birth date can mean the difference between being allowed or denied boarding of your flight. I had a client who gave me the wrong middle name for his wife. It took days of me tracking the tickets through the air department at the resort chain and then having them work with the airline to correct the situation. In the end, they couldn't reissue the tickets due to travel rules and regulations, but a note was made on the reservation and they were able to board the flight without issues. I was on a cruise once and someone was actually denied boarding on a cruise ship because her name on the cruise confirmation didn't match the name on her identification. Luckily for me (and unluckily for her) she wasn't my client, but it was still upsetting to think this poor woman traveled all that way to be denied for her cruise vacation. She wasn't offered a refund either. Don't let that be you. Check and recheck your tickets, itineraries, etc. Make sure dates, times, flights, names, dates of birth, and everything else is 100% correct BEFORE you confirm that your travel professional should book it. Then check it over another time once it has been booked, and let your agent know immediately if there is an error so it can be fixed before it is fully processed. I know this sounds silly that someone could forget their ultra important travel documents like a passport, but it has been done before. Make sure that at least two days before you are scheduled to leave you have your passport in your hands and that you store it in a safe place that you can check frequently. For example, when my husband and I travel, we put our passports in a little travel booklet. Then I put the booklet in the purse I plan to carry on our trip. My purse is the first thing I grab when I go anywhere, so there is a very slim chance it will be left behind. Also, keep checking on it. My husband thinks I'm crazy when we travel but I always have my arm tightly gripping my purse to make sure it isn't wide open for anyone to reach in and take anything. I also look in there quite a few times while we are leaving the house, in the car to the airport, and at the airport before we get to security. This allows me to be able to know when the last place I had it was. Because if I check it in the car, and then check it again in the airport and it's not there, I know the last place I had it was in the car and I can call the car company to come back. It saves us a lot of time, even if it's a pain having to glance into my bag every so often to make sure they are there. But it isn't just the possibility of leaving it behind or losing it. I once had a couple who were leaving on an early Saturday morning flight to St. Lucia for their honeymoon. Everything was booked, the bags were packed and they had their passports. The only problem was they didn't have them in hand. They had them at the bank, in a safe deposit box. And it was Friday night. And the bank was closed. And his flight was 6AM, well before the bank opened at 9AM. They called me that Friday night in a panic. Of course, there was nothing either of us could do. They ended up having to pay to change his flight and pay to extend their stay a night to make up for the night they missed at the resort since the next flight couldn't take them to St. Lucia until the following day. It was an unfortunate situation, and I hope anyone who reads this story and stores their passport at the bank will learn from their mistake. 7) Not A Morning Person? Book An Early Flight Anyway. You may be looking at that 5:30AM flight and thinking how awful it will be to wake up in the middle of the night to go to the airport. But not only is that earlier flight usually much cheaper, but the airport is going to be much quieter. I am personally not a fan of busy and crowded airports, so whether my husband likes it or not, I drag him out of bed at 2AM and lug him and our bags all the way to the airport for 6AM flights. Why? Because it can save us as much as $200, and because it means there are barely any lines at the check-in counter as well as at the security line. Once we're through security and at our gate, I treat him to a lovely breakfast for putting up with my crazy early morning travel routine. By the time the plane takes off, his tummy is full and he is sleepy again. The two of us sit back, relax and close our eyes until we arrive at our destination. The other great thing? Arriving where we are going before noon. The lines for immigration and customs are shorter and we're at the resort with drinks in our hand while most people are still in the air. 8) Arrive At The Airport 3 Hours Early For All Flights. Nope, this isn't a photo of a concert, or a sporting event, or the mall on Black Friday. 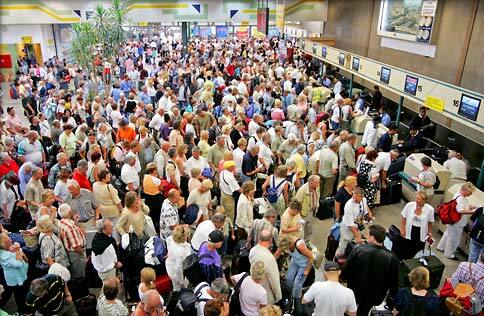 This is a photo of security lines at an airport! While it's recommended that you get to the airport 3 hours early for your international flights and 1 and a half to 2 hours early for your domestic flights, I always recommend arriving 3 hours early for all fights, regardless of their destination. I'm sure my husband would rolls his eyes at me over this one, but I have good reasons for it. Anything can happen, and I mean anything. Even if the airport is completely empty, you could very well be sitting in traffic because an accident takes up every lane on the highway. I'd much rather be sitting at my gate with three hours to wait for a flight than be sitting on a highway with only an hour to get to the airport to check in. If you miss that flight, the airline or your travel professional are under no obligation to put you on another flight without you having to pay for it out of your own pocked. It's best to be prepared and allow yourself enough time to arrive, and get through security. Especially when some airports look the the above photo on a daily basis and not just on weekends! 9) Layovers Can Save You Money, But Beware. I personally hate layovers. I will avoid them at all costs, including driving four hours to another city and spending the night. But sometimes I'm stuck with no choice but to book a layover for myself or my clients. The first thing I do is make sure I am giving the travelers enough time. You never want to book a layover that is under an hour. Your first flight will be delayed or you may have to change planes or even gates. Some gate changes actually take you across an airport terminal. Ask a flight attendent, because they'll tell you, running across a terminal to make your next flight within 20 minutes isn't fun. I always recommend at least an hour and a half between flights when doing a layover. And on the way home, I'd recommend doubling that time if you are returning from an international destination. Only a small handful of locations abroad offer "Preclearance"-- meaning instead of dealing with immigration and customs when you arrive home, you deal with them after you go through security in the country you are leaving. This saves you time when you arrive home. The countries on that offer preclearance are most major airports in Canada, Bermuda, Bahamas, Aruba, and two airports in Ireland (Shannon and Dublin). For everyone else arriving home from to the US, you'll need to clear immigration and customs in your connecting city. Not the final destination city. So make sure you have plenty of time to pick up your checked bags, wait on line to clear customs and immigration, recheck your bags and make it to your next flight. No one is obligated to help you speed through the process if you're running late for your next flight. 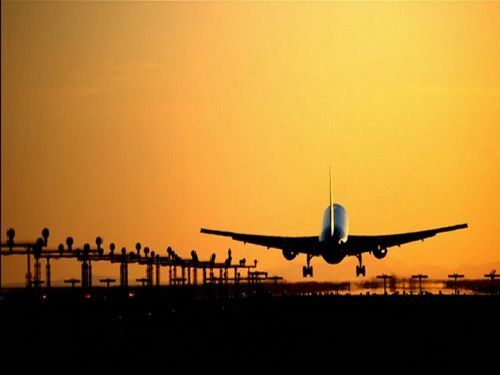 So make sure you have allotted enough time in between flights to go through this process and make it to your connecting flight in time. 10) Extra Fees and Expenses Are A Hassle. Save Money By Avoiding Them. When I book my own flights, I tend to look for the airlines that offer free checked bags, like JetBlue. It's obvious that when I'm looking at a JetBlue flight and it's $25 per person more than a Delta flight that in the end both flights will cost the same money. But when I book a JetBlue flight, I'm booking for the connivence of knowing that I don't have to prepay for my bags, nor do I need to worry about paying for entertainment, snacks, or drinks on board. If I was on Delta I wouldn't even consider drinking a Dunkin Donuts coffee, but because it's available on JetBlue, I want it! This can be a bad way of looking at things and has brought me to the point that when it's time to book my flights I'll go with JetBlue anyway, even if they are $100 more for the flight. But in reality, you're only on a flight for a little while (and if you're like me, you are drugged up and sleeping through most of it). So why spend all that extra money for things like an extra inch of legroom and a bag of chips? So how do we avoid all the extra airline fees and charges? Easy. We get around them. 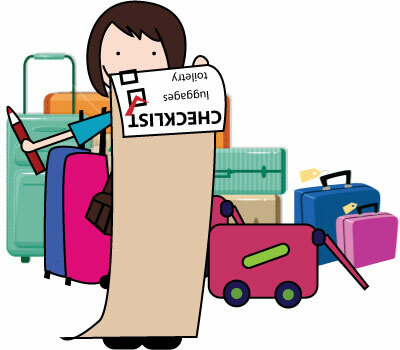 One of the best ways to save money is to avoid checking a bag altogether Use a carryon bag only. Some people forget that you are allowed technically two carryon bags. Women are allowed a purse and men are allowed a briefcase or backpack for under the seat in front of them and one carryon per person for the overhead compartment. So my husband and I avoid the fees and the hassle of waiting for our luggage at the carousel and we just pack everything in our carryon luggage. This saves us a around $50 each way on checked bag fees. And lets face it, there is no need to overpack. We usually end up wearing the same things over and over... bathing suits! If you do plan on checking your bags then another way to save money on fees is to weigh your bags before you travel. You can buy a luggage scale anywhere [see a uggage scale at Bed Bath & Beyond] or try weighing it on your bathroom scale. Any bags weighing over 50 lbs will cost extra money to check. You'd be looking at an extra $50 - $600 per overweight bag, each way (depending on how big the bag is). So weigh them at home where you have plenty of room to remove things and move stuff around. Just don't over stuff your carryon bag with things that didn't fit in your checked back. If your carryon is over packed it may not fit in the overhead compartment and will have to be checked and there is a greater chance of your carryon bag being lost or left at a destination if it is checked last minute before the flight leaves. some airlines also charge you more for this (Southwest recently announced it would charge $100 per bag that has to be checked from the gate) So if you are stuck in a situation where they want to check your carryon after you've boarded the plane, make sure everything that is important or valuable is taken out and put into your smaller carryon bag. In fact, packing a smaller bag like a tote bag in your carryon suitcase is a good idea so you have extra bag to put your valuables that you want to keep in the cabin with you. But the best thing to do is simple not to overpack. Also, while it's great to sit at the front of the plane, those who sit toward the back of the plane get boarded first, which means they have a greater chance of getting overhead compartments for their luggage. Those boarding the plane (the front rows) last are left searching for space and if there is none, you could be stuck checking your bag. Airlines usually begin boarding with rows 15 and higher (after the people who are disabled or traveling with small children). They also board priority seating before they announce the regular rows. You can pay $10-$15 to be boarded before everyone else, but I wouldn't waste the money. I'd recommend booking in rows 15 or higher. Don't book the last row as the seats don't recline, and don't book the seats in front of the emergency exit rows as those don't recline either. In my opinion the best row to book is the one right behind the wing so you can still see the ground when you are landing (if you want a good view) and you'll be boarded earlier. Also, sitting close to the gate before boarding helps. And standing by the desk as it gets closer to boarding time ensures you'll be first in line when they call regular boarding. It may seem like you're being impatient, but if it means having a place to store your bags, then who cares what everyone else thinks? To save costs on food, pack snacks before you leave. You're allowed to bring food on board the plane, and through security. It's only liquids that are an issue. So skip packing the drinks, and just pack some snacks incase you get hungry on board. If you really want a drink and you worry the airline will charge you for what you plan to drink, then buy it at one of the shops after you get through security. You can carry it on the plane if you've purchased it after going through security. You should also save yourself the money of upgraded seats. It may sound like a good idea when you're selecting your seats online, but if you aren't over 6 feet tall or your flight is under 5 hours, you don't need the extra leg room. Just make sure you get up and go to the bathroom or stretch your legs a little bit. Cramping legs are no joke when you're on a plane. But I've learned that if I just position my bag properly under the seat in front of me, there is plenty of room for me to stretch out my legs and relax. So skip the extra $20-$50 each way per person. Figure out another way to stretch your legs without stretching your wallet. Lastly, don't prebook your seats. Many airlines now charge you to book your seats in advance. Don't give in to the pressure! They are doing this to squeeze a couple extra bucks out of you. For example, I booked a last minute flight for my husband and myself to Great Exuma. The "free" seats online were showing as full already. So instead of paying $24 per person, per seat, for all 4 flights, I waited. We arrived at the airport early the morning of our flight and American Airlines assigned us two seats together, in the extra legroom section, at no additional charge. They also assigned us seats together on our second flight which had been showing up online as seats that were unavailable. The same happened coming back home. So just because the flights look full on the site doesn't always mean they are. The airlines do this as a scare tactic to get you to pay more money. If you aren't too worried about getting seats together and prefer to save the money, wait to assign the seats at the airport. Nine times out of ten you'll be seated together if you're a couple, and if you can't... at least you're going to the same place and are saving an extra $100 or more! 11) Nervous Traveler? Traveling With Kids? This Will Help. I want to precursor this with the recommendation that you consult with your doctor or child's pediatrician before heeding this advice. But once you get the all clear, this is an excellent way to handle hyper kids or anxious adults. My husband knows I am a nervous flyer. If you saw his arm after a flight you'd question if I abused him. The answer would be, not regularly, but on a flight, I use his arm as everything from a pillow to a place where I dig my nails during turbulence. It's a reflex, and even though I try to stop myself, he has also learned to wear long sleeves and protect himself just in case I cannot control it. So when he offered me a Benadryl, I thought he was nuts. I wasn't sick. But he told me that it would make me drowsy and I'd go to sleep. For most people, this would work, but for me, it wasn't enough. But a small glass of wine helped do the trick and before I knew it I was out like a baby. Now, I always carry Benadryl with me and when I'm feeling nervous in the air, I pop one and order a glass of merlot and before I know it I'm being woken up by the flight attendant telling me we're landing. This is also a great trick for children (minus the wine of course). If your baby is making a lot of noise or cannot settle down, you can always give them a children's Benadryl to help them relax and go to sleep. Obviously, filling your child up with pills isn't always the answer, but on a flight where a screaming child can't just be removed from the situation, a back up plan like this one is always recommended. [Read this article written by a mom who learned this the hard way]. 12) Book with a professional! Many people think it's easier to book a vacation online. 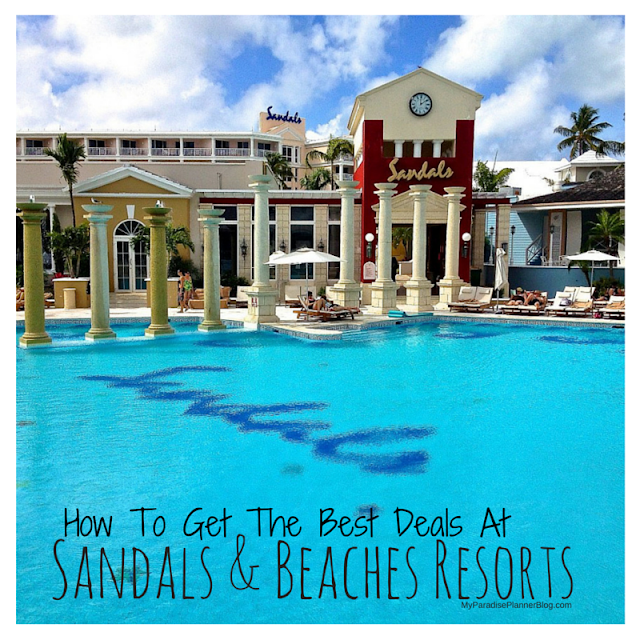 They search the deals, pick what they want and it takes a few quick seconds to book. They don't want to waste their time with a travel professional. But many times-- especially like many of the the ones mentioned above-- those people who book on their own find themselves in situations where a travel professional's expert advice and assistance would have helped them tremendously. The benefits of working with a travel professional truly outweigh the benefits of buying a vacation on your own. A vacation is an investment of your hard earned money. A travel professional can help you make the right choices on your investment. They will help you get the most for your money, and in the end, should anything go wrong, they will know the best ways to handle each situation. A good travel professional will be there to help you at all times. Without a travel professional, you are alone to deal with everything on your own. Most travel professionals, like us, offer their services for free. Make sure the professional you work with provides you with an emergency or after hours number to reach them at, just in case. And never hesitate to contact them at that number. If you have a question, a problem, or anything else. The most common thing clients say to me during the vacation planning process is, "sorry to be such a pain". I always tell them that they are never being a pain! I want them to ask me a million questions. The whole reason I am here is to help them. Always make sure you find yourself a travel professional who is just as enthusiastic and willing to help you.